Open 1400-0400 Mon-Fri, 1100-0400 Sat/Sun. Directions - L train to Bedford Avenue, take the Bedford Avenue exit (at the rear of trains coming from Manhattan), walk north on Bedford Avenue three blocks. 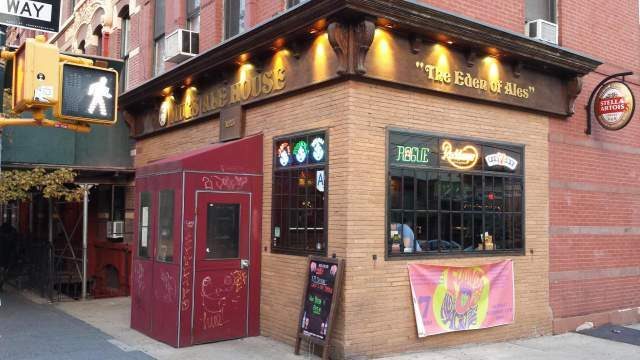 The original, classic Williamsburg beer bar. Still an excellent selection after all these years. c.25 taps & extensive bottled list with many vintage beers. Near Brooklyn Brewery.